I’ve been picky about papers for a very long time. From the crayon drawings under glass on my grandmother’s kitchen table through a B.F.A. in Printmaking and Drawing, paper has been the foundation of my creative process. As a printer and papermaker I handled thousands of sheets of fine paper and paper speaks to me. My ideas always begin as sketches, drawings, pastels or monotypes and become paintings only after multiple variations on paper. Over the years I have selfishly kept my favorite works on paper, especially if I sold the related paintings. This show includes many of these “keepers” which have never been exhibited. This new gallery is the right place to finally show this work to my friends. The late Russell Hamilton did value his works on paper. So much, that he spent the last year of his life doing his own framing, which was unheard of for him as he always used a professional framer. It seems right that some of those works should be exhibited at this very place that he helped originate the idea in the kitchen of two of his friends, Dr. Steve Kanig and Dr. Barbara McAneny which he requested to see before he passed on October, 29th. The New Mexico Cancer Center held a special place in Russell’s heart as his own mother had suffered through cancer and spent many hours in chemotherapy. It was his hope that those who were in treatment might be able to use art to take their mind to another place. There are no words to adequately express how much we appreciate that Sharon did this. 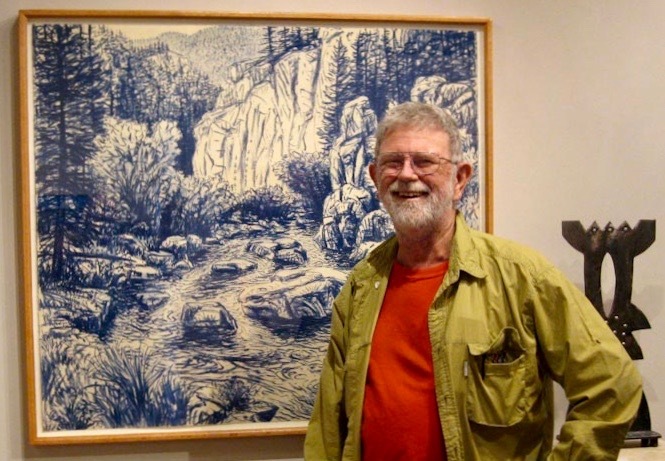 Russell was a dear, dear friend who indeed played a major role in the inspiration for Gallery With A Cause many years ago, and provided incredibly helpful guidance in how to best go about doing this, since neither of us are artists or had any experience running an art gallery. 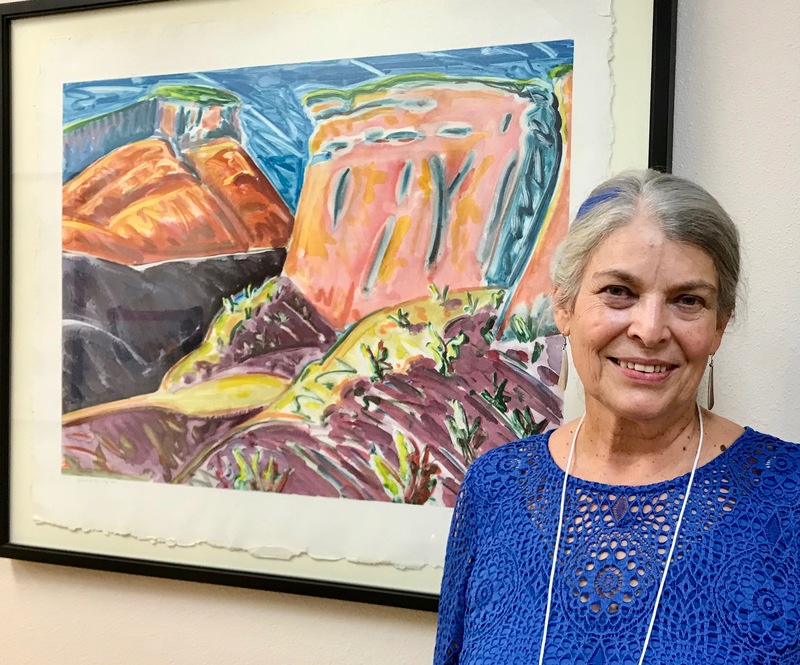 When you walk into New Mexico Cancer Center, you'll see one of his finest pieces hanging permanently on the wall where people are welcomed as they arrive, both as a tribute to Russell and because it's a stunning piece that perfectly sets a tone of comfort and caring for patients and staff. We are sure that you will greatly enjoy his pieces in this new exhibit.